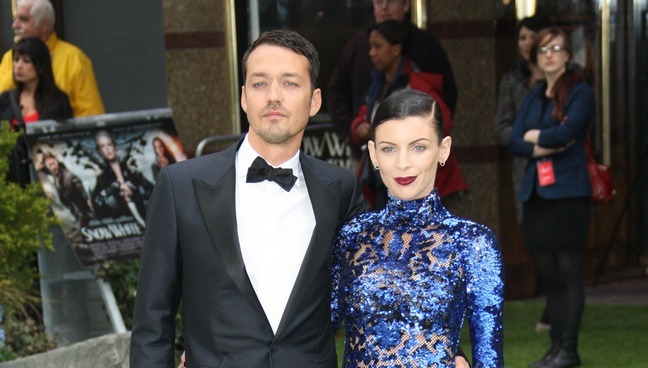 Model Liberty Ross and director Rupert Sanders weren’t able to repair their broken marriage in the aftermath of the Kristen Stewart cheating scandal. Liberty has officially filed for divorce, according to reports. Ten years of marriage couldn’t be repaired even though Liberty and Rupert sought out the help of counselors after Rupert cheated (and got caught on camera) with Kristen (while she was dating Robert Pattinson) last summer. The two had worked together on the hit flick “Snow White and the Huntsman”. Liberty and Rupert share two children, Tennyson and Skyla. Liberty is requesting joint custody and child support. The indiscretion may have also cost Rupert a big directing gig as he hasn’t been asked back for the Huntsman sequel since Kristen is rumored to be back on board.